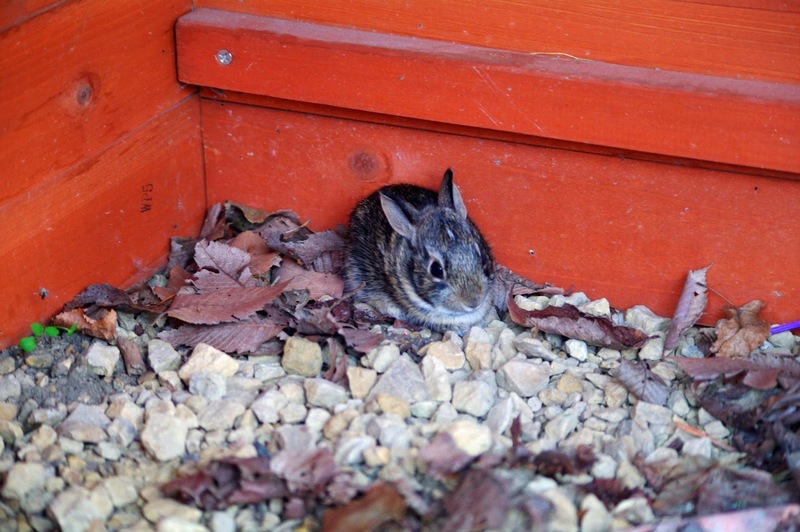 The Little Lotus Bud found a baby bunny in her playhouse and later when I cleaned it out I realized that there had been a whole nest of baby bunnies born. I found all the fur, not the babies. Unfortunately, I think it was my neighbor's cat who found the bunnies later that day. We haven't seen any since.